. . EDUCATION FOR PEACE . .
Inviting young people below 21 years of age to share short stories, poems, posters and paintings for the Peace Gong E-book. The former UN Secretary General has rightly underlined the centrality of tolerance, promotion of inter-cultural dialogue and mutual respect for global peace. At a time when various parts of the world is hungering for peace and the phenomenon of racism, xenophobia, extremism and various other forms of violence are stirring the very edifice of a peaceful global society, all efforts needs to be made to promote voices of compassion and love. All cultures of the world inherently promote the ethereal values of compassion, respect, tolerance and mutual understanding. It is only when negative elements try to exploit situations leading to self-destruction and conflicts. This is the challenge the whole humanity faces. Promoting dialogues amongst different cultures, sharing unique stories of respect for diversity and nonviolence, bringing out the transient nature of peace in every culture will go a long way in challenging divisive forces. As Kofi Annan says people are becoming more and more closely interconnected, we need to share these stories so that we can promote mutual understanding. 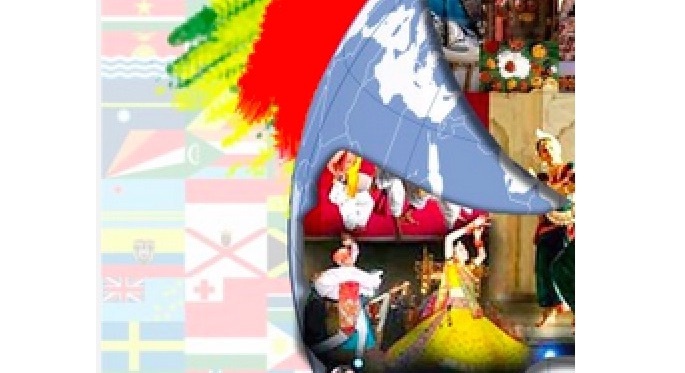 In this context, The Peace Gong plans to bring together an E-book comprising of short stories, poems, posters and paintings which draws how different cultures promote the values of mutual respect, tolerance, dialogues and humanism. As the book would be aimed at youth, it can be a unique melting pot of stories and poems by young people from different cultures on peace and nonviolence. Short stories should not be more than 1000 words in length. Paintings and posters should be in jpg format. A small undertaking should be sent by the writers/poets/painters that their work is original and not plagiarized. Contributors should also send a few lines about themselves and their education along with their email and a photograph. We plan to put together this E-book by October 2, 2015 the International Day of Nonviolence. The Peace Gong is a children’s newspaper brought out from India aiming to promote voices of young people from different cultures.